The dragon is slowing but its declining prowess will not necessarily improve India's economic performance. 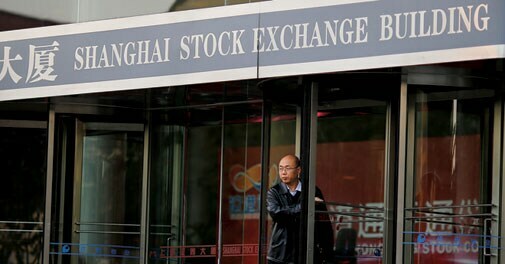 The Shanghai Composite index declined by almost a third in a month; then it jumped six per cent in a day. Stock markets like to leap and crash, but this is a bit extreme. It caused reverberations because it involves the Chinese economy. It grew at an annual average over 10 per cent from 1979 onwards. Such high, sustained growth is unknown in world history. At its end, China's gross domestic product, valued at the same prices (called PPP in economic jargon), was about the same as that of the United States, which has been the world's largest economy for a century. Its manufacturing value added in 2013 was a third higher than the US's. Indians may not like to dwell on these figures since our economy has been left behind but just in case we feel cheered up by the crash in China's stock market , we should worry about its global impact. The collapse of the US economy in 1929 had such widespread and persistent effects that it came to be known as the Great Crash. Are we about to see a Grand Crash courtesy China? This is not the first time that the Shanghai Composite has given the world a scare. It rose fourfold in less than a year in 2007/08, and then came down by two-thirds the next year. Shanghai Composite is not China's Dow Jones. In the year preceding the recent crash, Shanghai Composite rose about 50 per cent. Hang Seng, the Hong Kong stock index which is China's other major index, rose about 15 per cent. Shanghai Composite is not representative of the Chinese economy in the same way as Dow Jones is of the US: its stocks cover much less even of Chinese manufacturing, and its investors are relative rookies, not well-heeled, long-term investors. The difference reflects the relative importance of stock markets in the two economies. Wall Street is the world's biggest stock exchange, and attracts companies from all over the world. Shanghai does not even list Hong Kong companies, let alone those from the hinterland. Many of China's biggest companies are not listed anywhere; they are owned by the government. And local, unlisted companies are an important component of China's industry. But independently of its stock indexes, the Chinese economy has been slowing down. To prevent it, the government made the banks it owns give cheap loans to their individual clients. They used the loans to invest in real estate. As a result, China has seen an unprecedented construction boom in recent years. And they invested some of the loans in shares. That led to the stock market boom in the country - whose end may be nearing. However, what matters is the real economy. Its growth is extremely volatile; to draw some reliable conclusions, I have taken four-quarter averages. They are close to 1.8 per cent a quarter or seven per cent a year for the past three years. That is not very illuminating. The savings ratio is equally stable, and equally uninformative. Power consumption in the first quarter of 2015 grew 0.8 per cent over the previous year, residential investment rose 2.6 per cent, while industrial investment fell 0.6 per cent. These are strong indications that China's growth has slowed down. Its trade growth shows an even more drastic deceleration. Between 1990 and 2008, China's exports and imports grew at close to 20 per cent annually. After 2008, however, their growth rates came down to nine per cent. This no doubt has consequences within China that are not disclosed by the statistics but they must also have an impact on China's partner countries. China is a dominant market for the exports of some of its neighbours - Mongolia, Turkmenistan and North Korea - as well as for some African countries - Gambia, Mali, Sierra Leone and Congo Democratic Republic. Most of them also receive a high proportion of their imports from China; apart from them, China is a major exporter to Kyrgyzstan, Togo, Benin, Burma, Kazakhstan, Vietnam and Bangladesh. By and large, the countries that are most heavily dependent on trade with China are those in Asia, especially East Asia, and in Africa, especially those with resources of use to China, and those on which its has showered aid. The Great Depression was global. It left few nations untouched. A Chinese depression will also be widespread, since its major trade partners are the big economies of the world, especially the US, EU and Japan. But many smaller countries will also be affected, especially China's Asian neighbours, and beneficiaries of its aid. Whether the Sinic depression will be greater or smaller than some other depression is unanswerable since it will depend so much on international policy responses. What is more certain are its geographical dimensions. When we look at the picture in this detail, it becomes clear how inadequate the stimuli the Bretton Woods institutions apply in the event of a global slowdown are. Past international downturns emanated from the Atlantic and its industrial countries, and spread to the rest of the world. A Chinese slowdown will affect its own neighbours and clients above all. There was virtually no foreign aid before the Great Depression. It has become a proliferous instrument of international influence today, as colonialism was in the older world. It has been and will be affected by the fortunes and strategies of the great powers. Specifically, Africa and South America have been the arenas of competition for influence between the US, EU and China; China's difficulties cannot leave their client nations untouched. Taking stock: Are we about to see a Grand Crash, courtesy China? China's resurrection had a strong impact on India. As China emerged as an industrial powerhouse, so did India as a net importer of industrial goods. In fact, the pattern of trade between the two replicated the old pattern between industrial and "developing" nations. China became a major investor in other developing countries, while India's foreign investment remains modest. India's international economic performance has been poor, and not just vis-a-vis China; China's declining prowess will not necessarily improve India's overall economic performance. India's unimpressive performance in world trade and investment is due to misguided policies. Its correction requires that the policies be rethought and redesigned. In particular, Indian governments' penchant for pockets of protection within the country creates weaklings in competition. Its overall competitiveness can be improved only if the government takes a fairer stance towards competition. Last year's election weakened one major factor that held India back, namely the inefficient, ineffectual policies of income redistribution embodied in Mahatma Gandhi National Rural Employment Guarantee Programme and the public foodgrain distribution. A further step still waits to be taken, namely greater neutrality of the government towards productive sectors and firms. China's government is only nominally communist except in one respect: it keeps away from private enterprise. The Indian government has generally been too close to the private sector, and has had favourites, such as business houses or the small scale sector. It will have to abandon this partisanship and force industry to stand on its own feet if it wants to make India a great industrial nation.